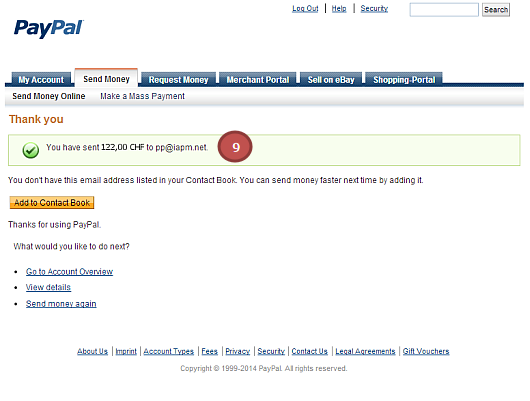 You can also pay your IAPM invoices via PayPal. The payment procedure is briefly described below. 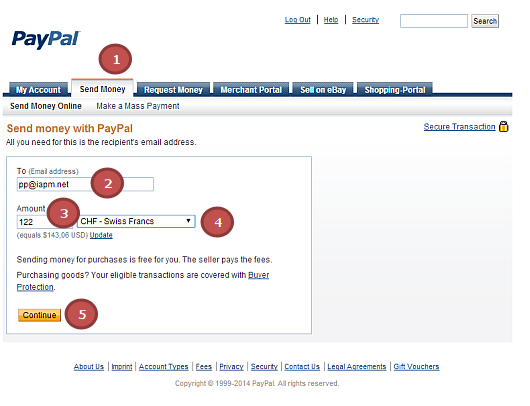 To pay an IAPM invoice via PayPal, you first of all have to log in to your PayPal account. 1. Click on the "Send Money" tab. 2. Enter pp@iapm.net as the recipient. 3. Enter the amount of the payment. 4. Select "CHF Swiss francs“ in the list of currencies. 6. In the delivery address section, click on "No shipping required" if you are paying for the self-test, certification examination or certificate recognition. 7. Please enter the invoice number in the subject field. 8. Then click on "Send Money". 9. 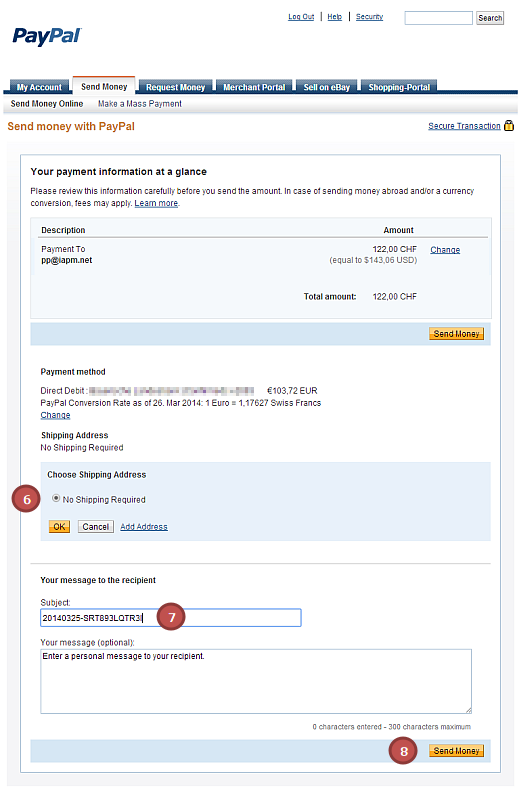 Confirmation of the transaction will then be displayed. You will generally receive your log in data for the IAPM online test systems within 48 hours. 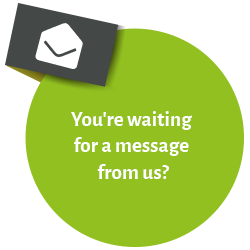 If you do not receive your log in data within 48 hours, please check your spam filter settings and contact support@iapm.net. You will generally receive your certificate via e-mail, within three working days.